Welcome to 114 Wessex Hills Drive in the Heart of Moon Township. 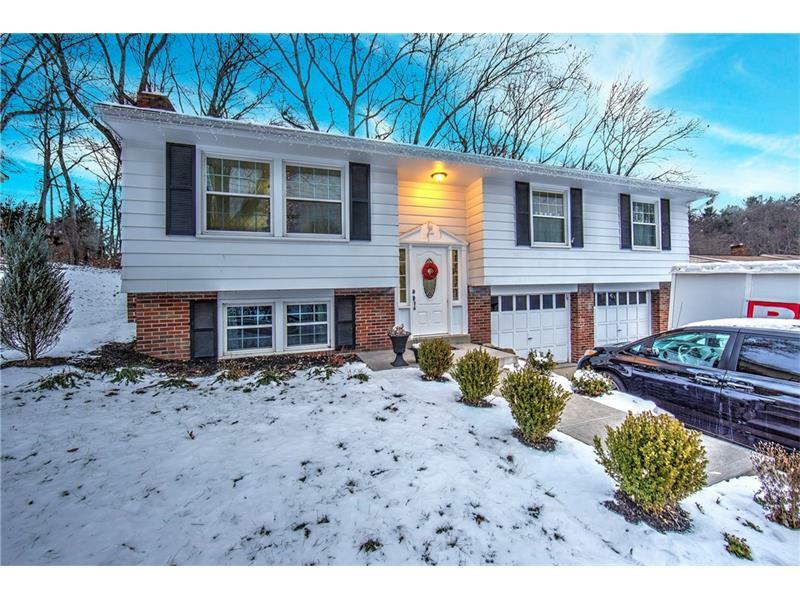 This updated move-in ready home features open floor plan with hardwood floors. Spacious living room and formal dining room. Kitchen with stainless steel appliances, granite, recessed lighting. Three bedrooms with master ensuite. Lovely family room or office with wood burning fireplace, stone facade & wall to wall carpet.TWO YEAR OLD NEW HVAC. Laundry with storage. Integral double car garage. Outdoor entertaining with stone patio and backyard (adjacent to Allard Elementary School). Walking neighborhood. Minutes to shopping, restaurants. Easy access to Pittsburgh International Airport, I-376; I-79.